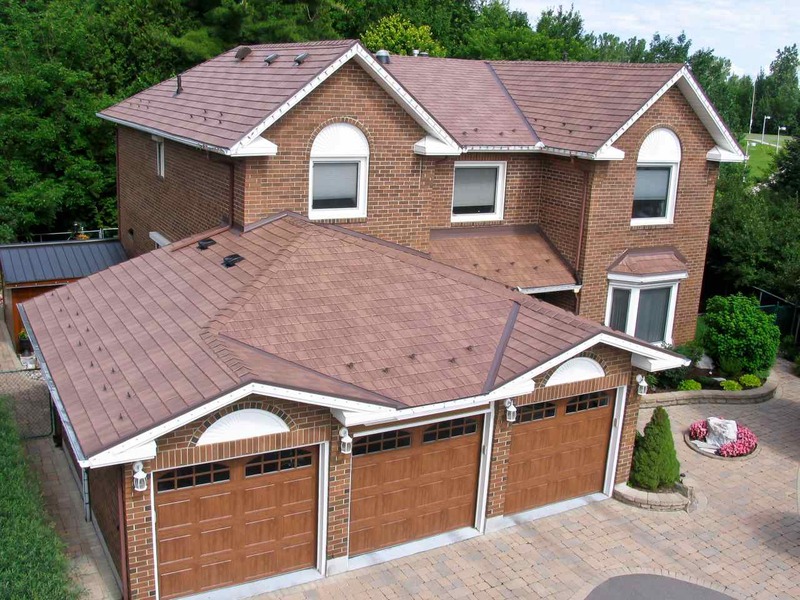 Industry-leading PVDF coating technology ensures that your KasselWood steel roof will stay looking fresh, enhancing your home’s beauty. 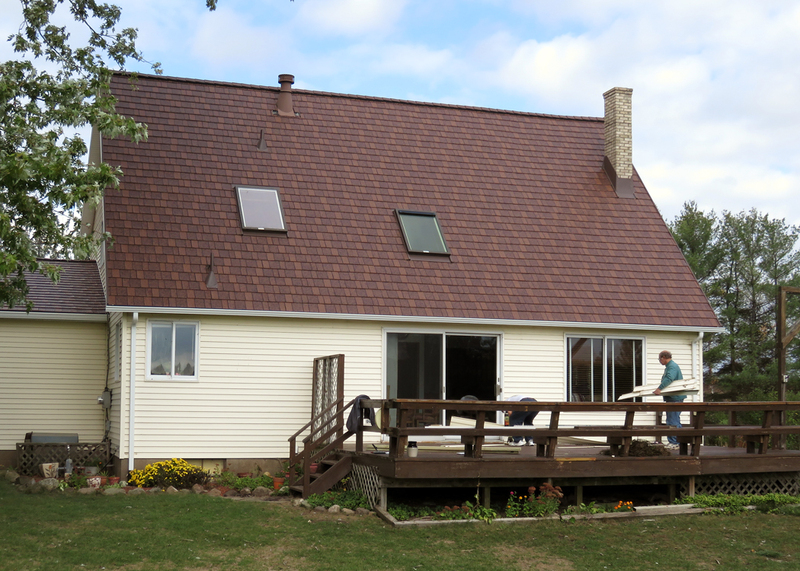 Our Warranty is non-pro-rated and transfers as many times as the home is sold for 40 years from date of installation. 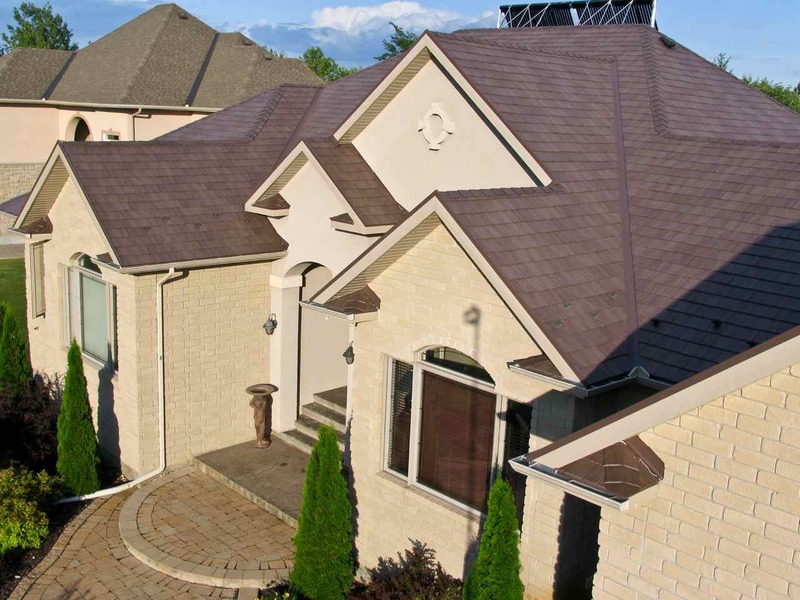 Please ask for a copy of our Warranty so you will see it goes way beyond the industry standard “manufacturers’ defects” warranty. 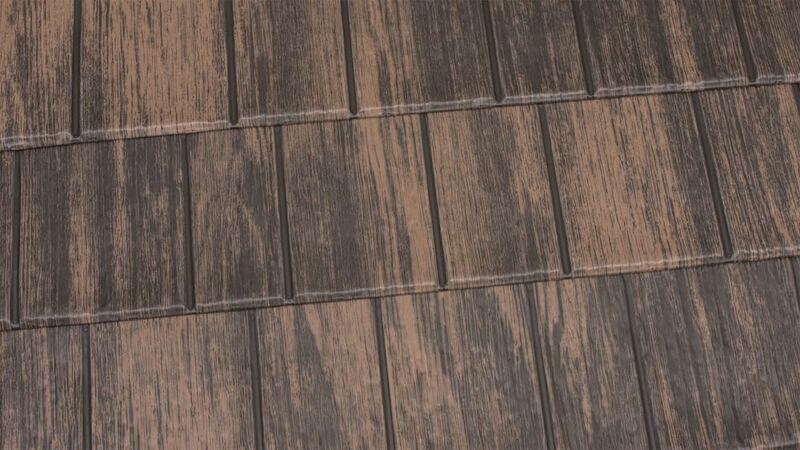 Please also ask about the original craftsmanship warranty provided by your contractor. 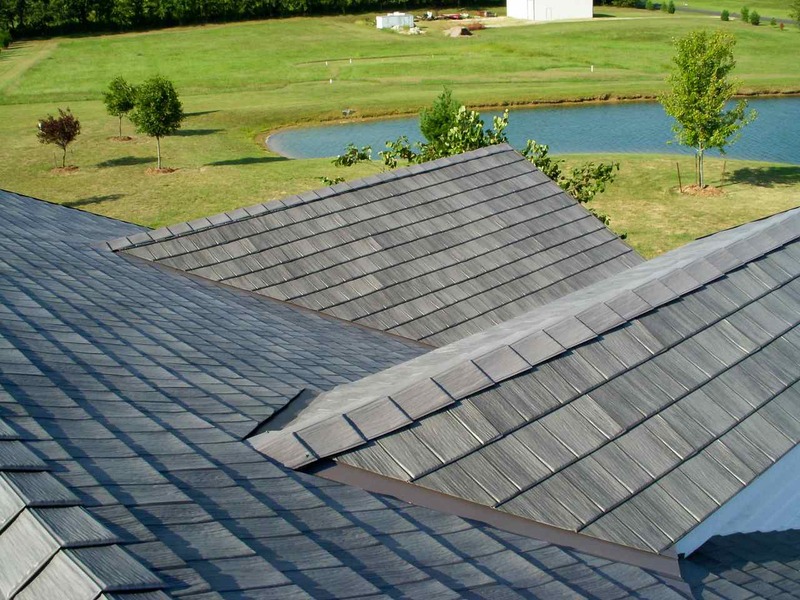 Sustainable, avoiding the need to re-roof every 12 -20 years. 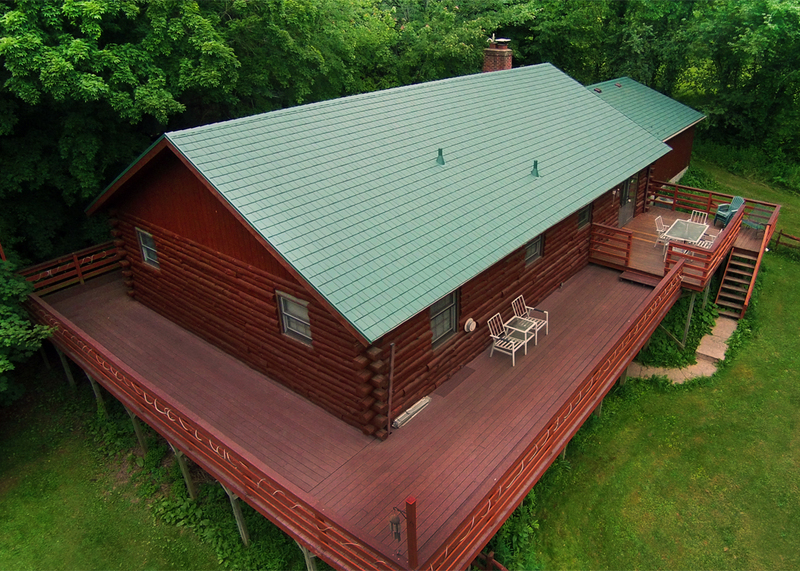 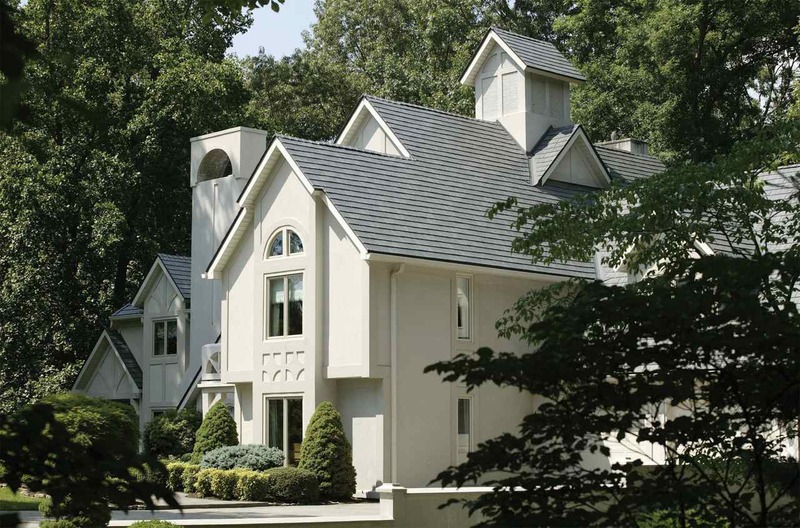 KasselWood’s unparalleled strength, design, and beauty work together to create a worry-free roofing option that lasts. 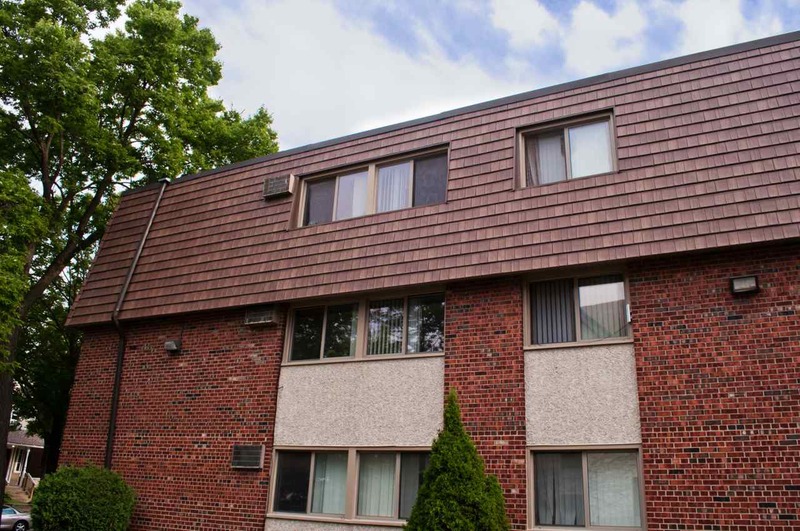 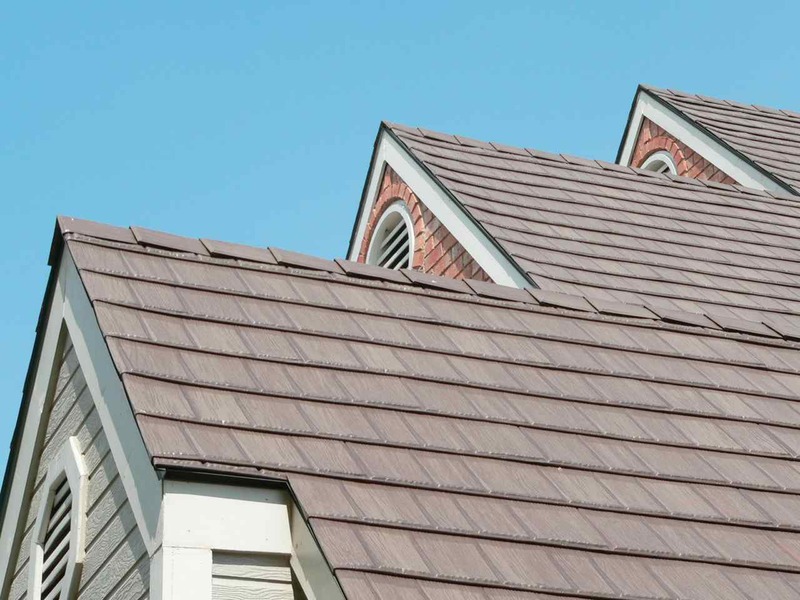 At Kassel & Irons, we strive to take homeowners out of the recurring and vicious re-roofing cycle. 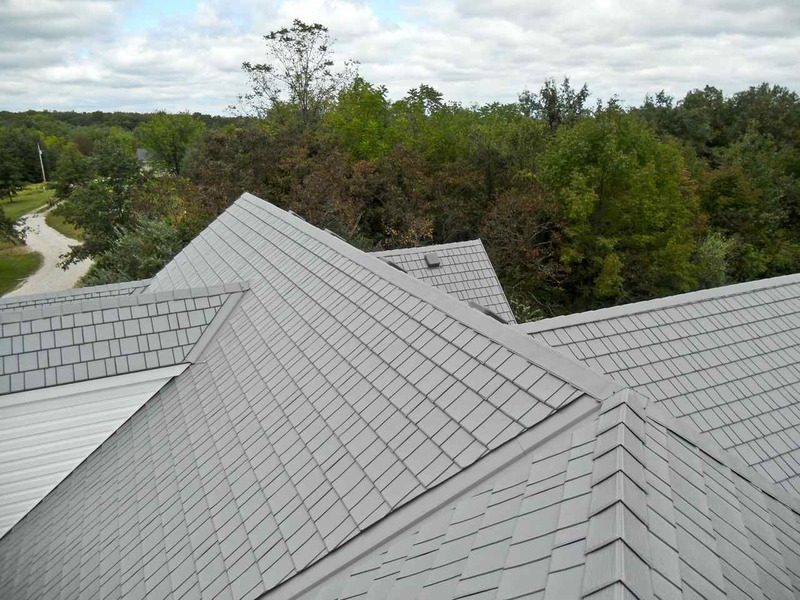 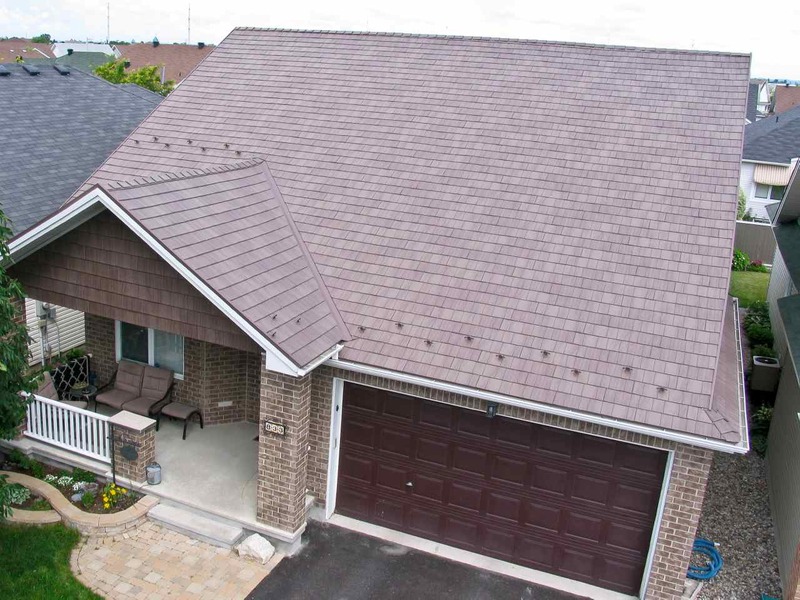 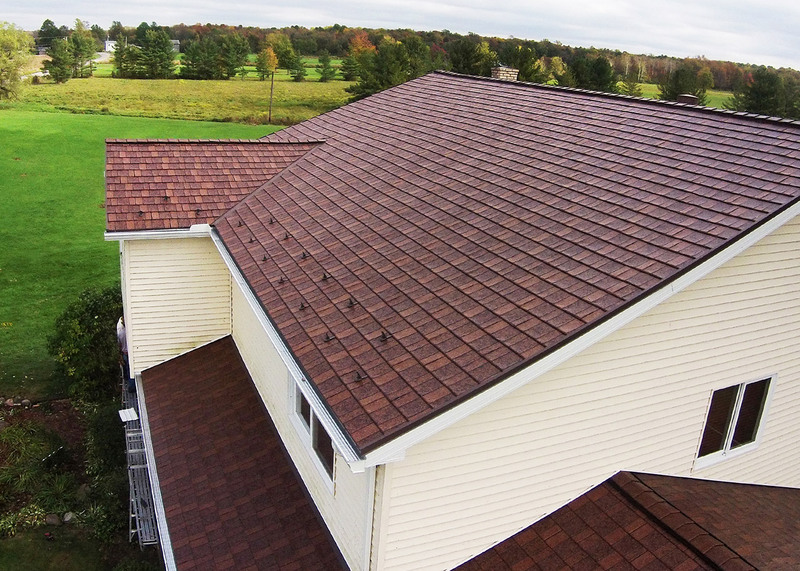 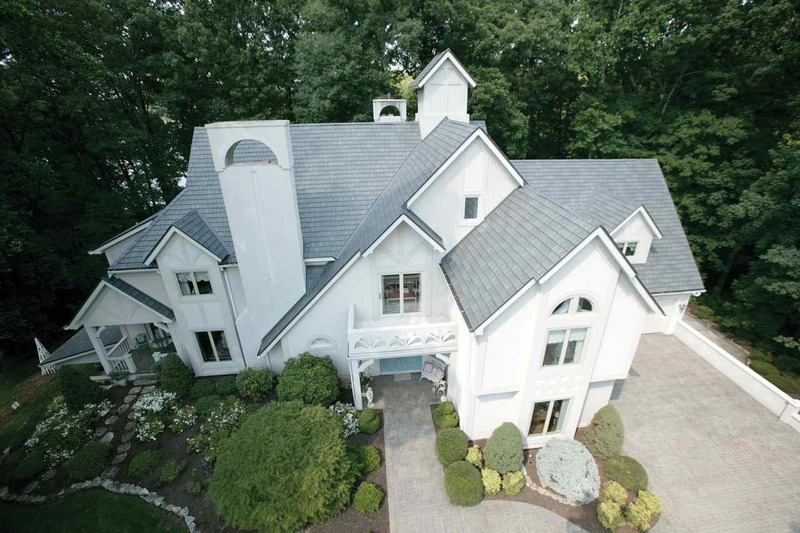 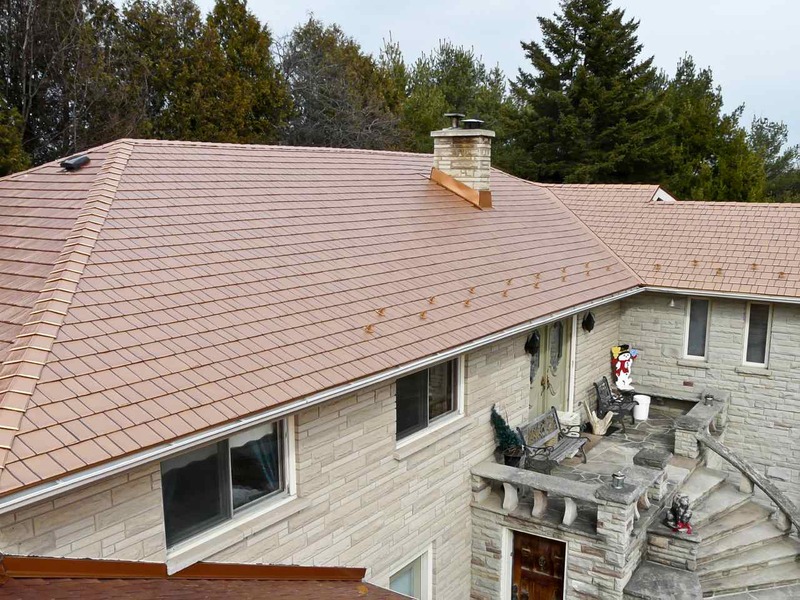 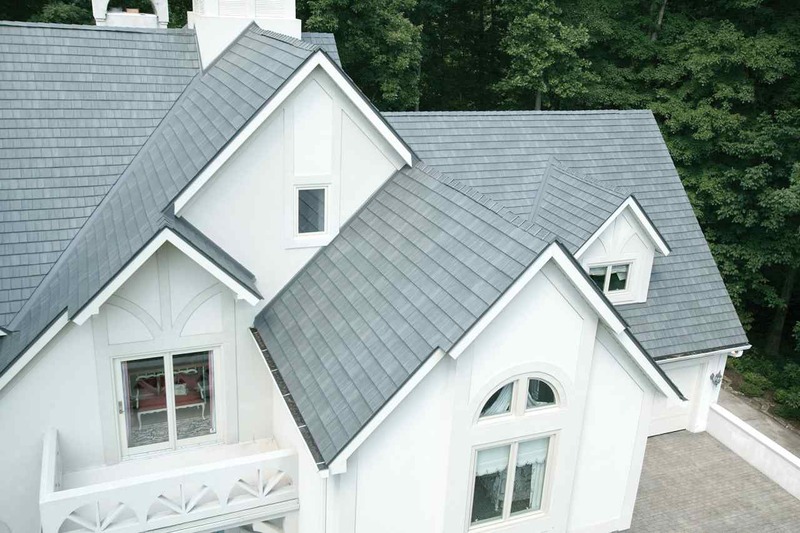 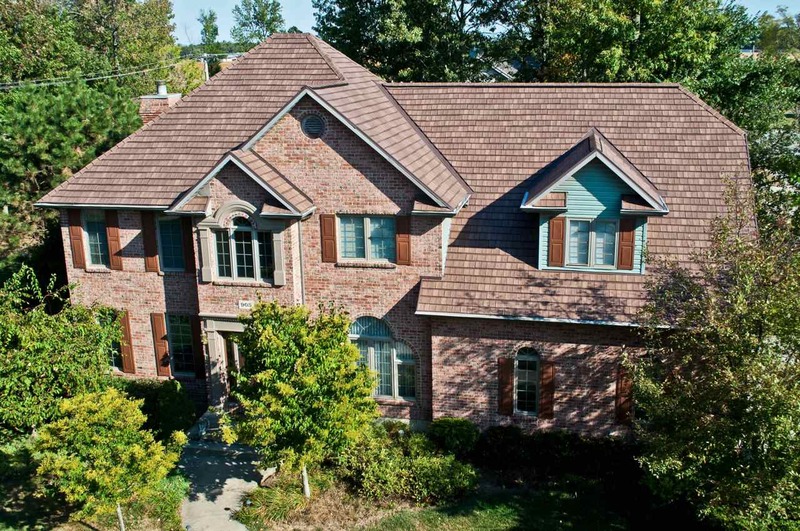 KasselWood steel shingles combine the beauty of traditional roofing with the strength of steel to create a magnificent, worry- free roof that lasts a lifetime. 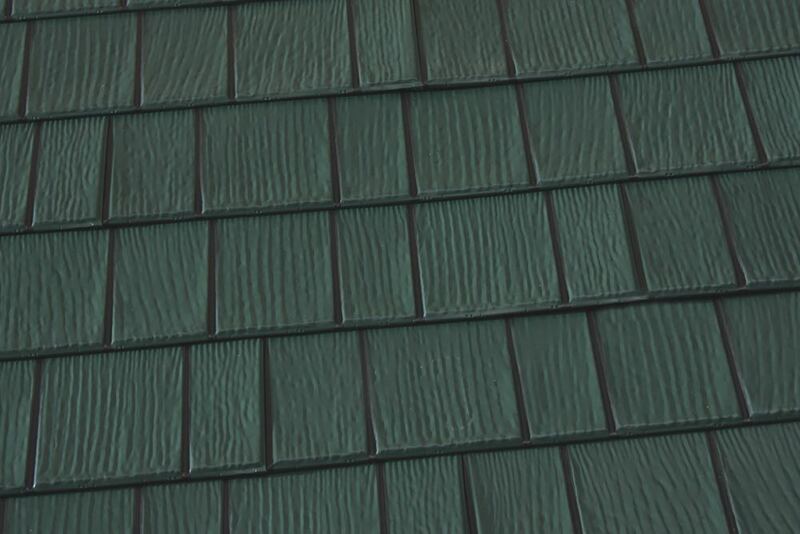 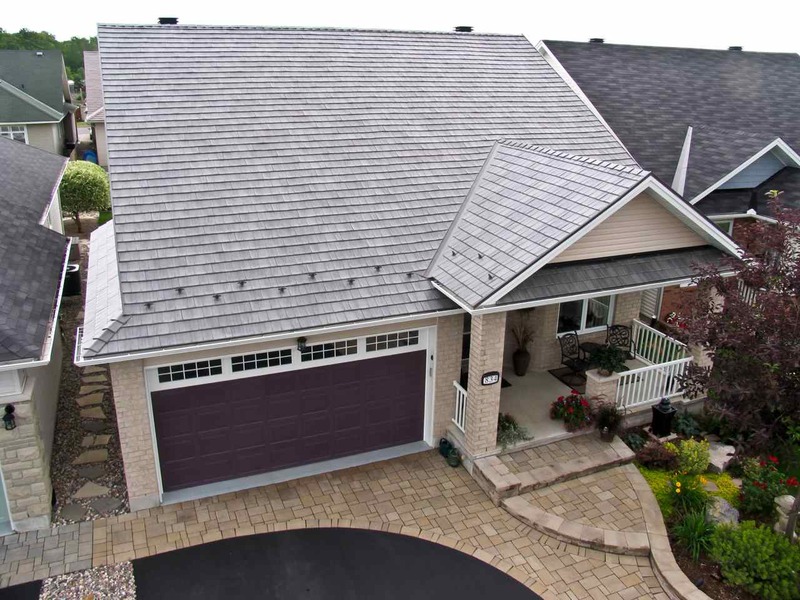 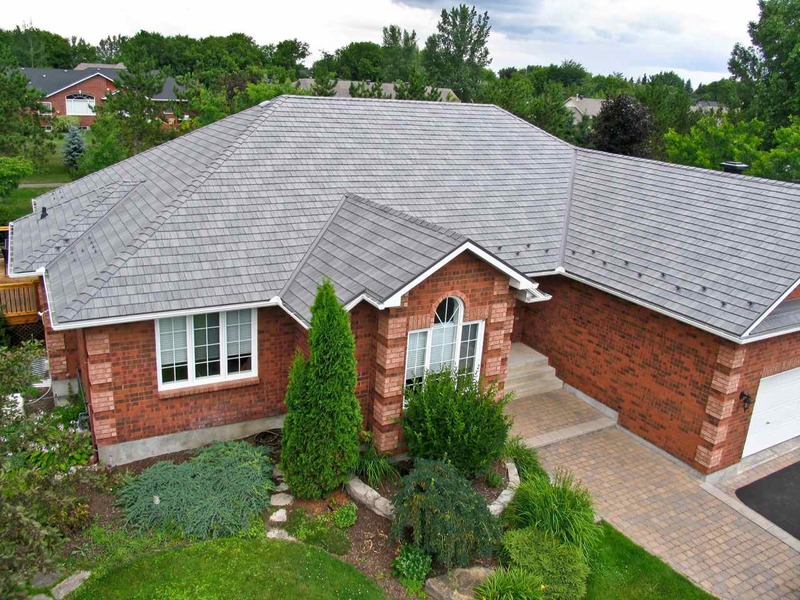 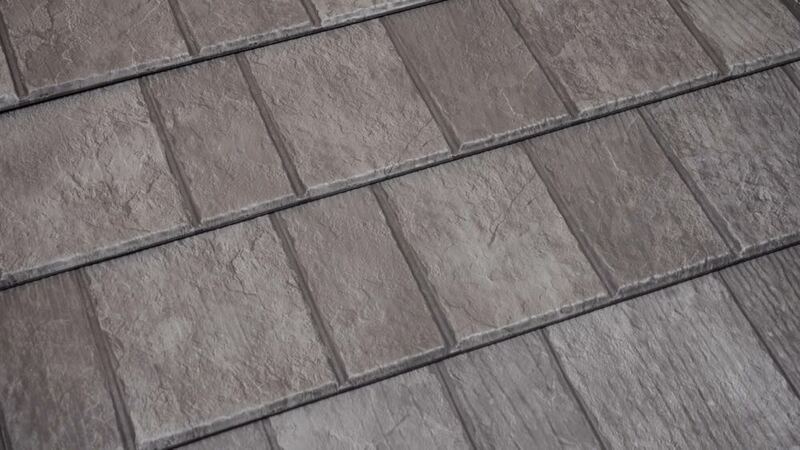 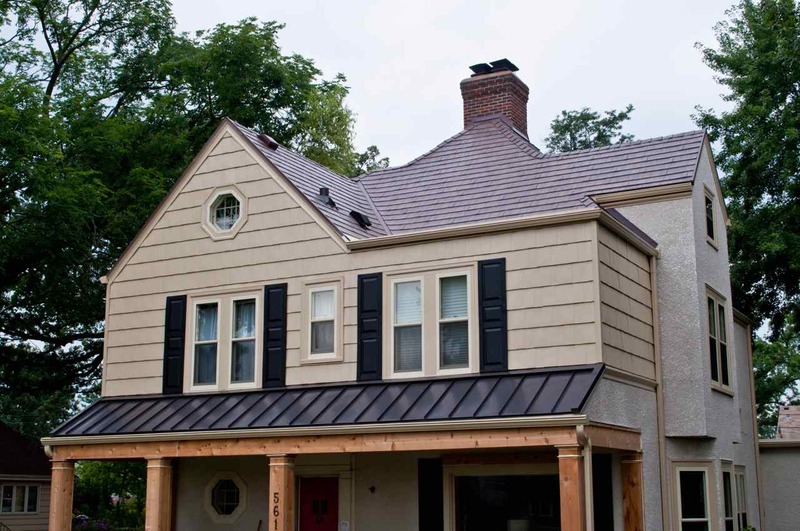 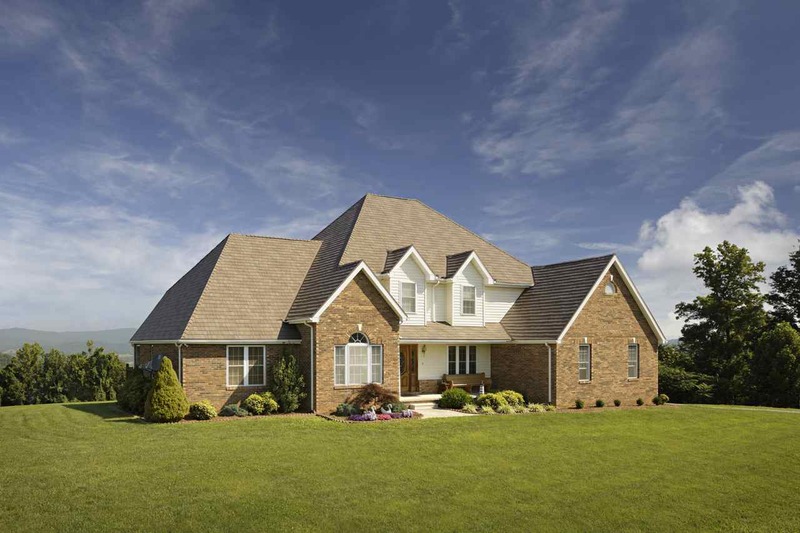 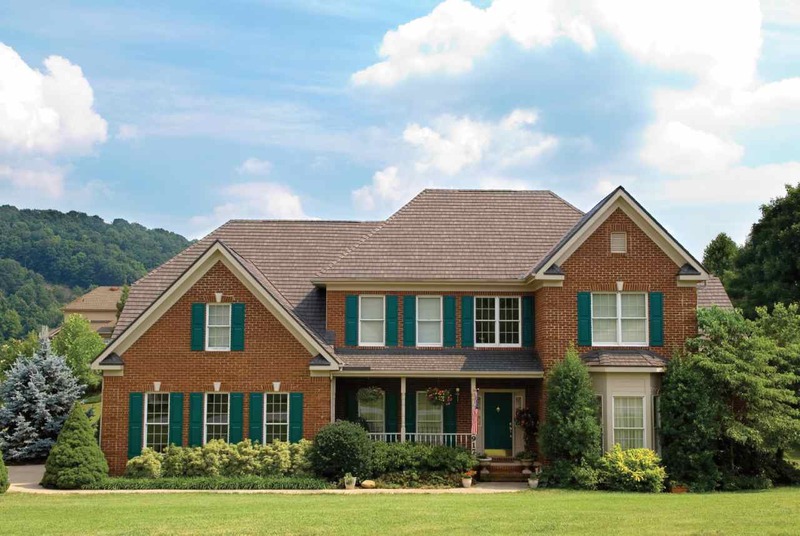 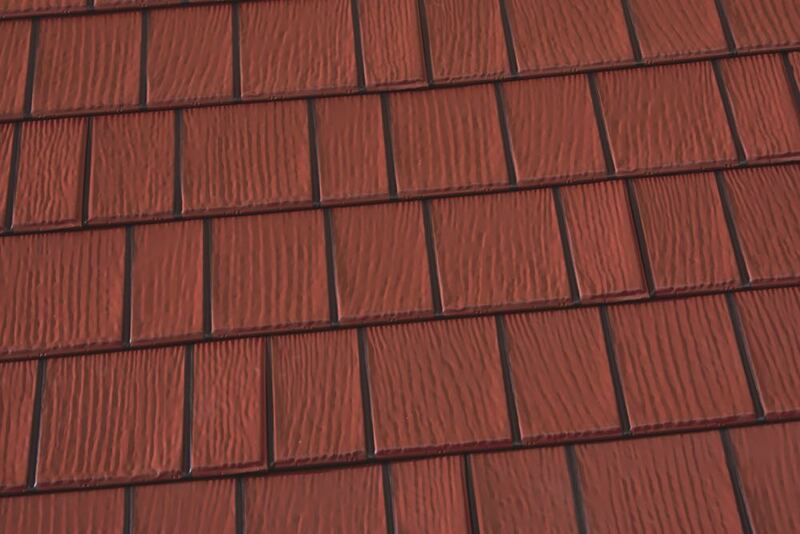 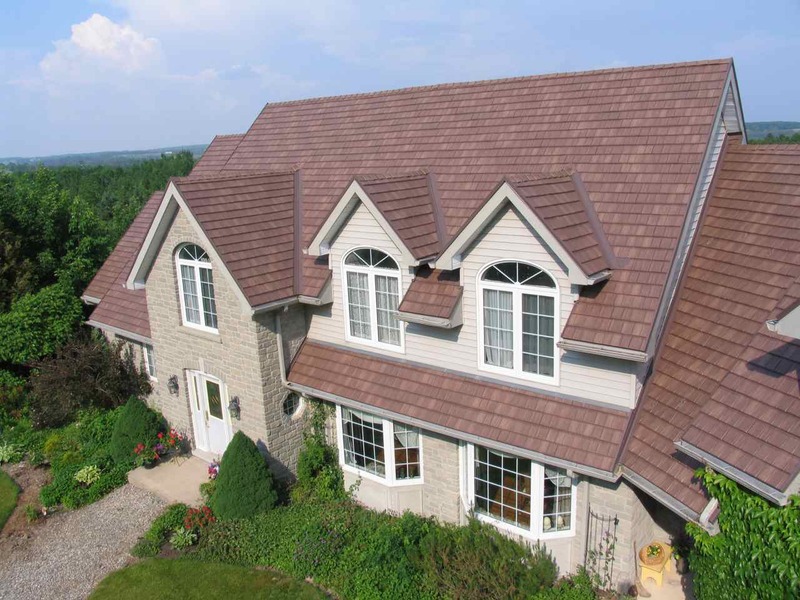 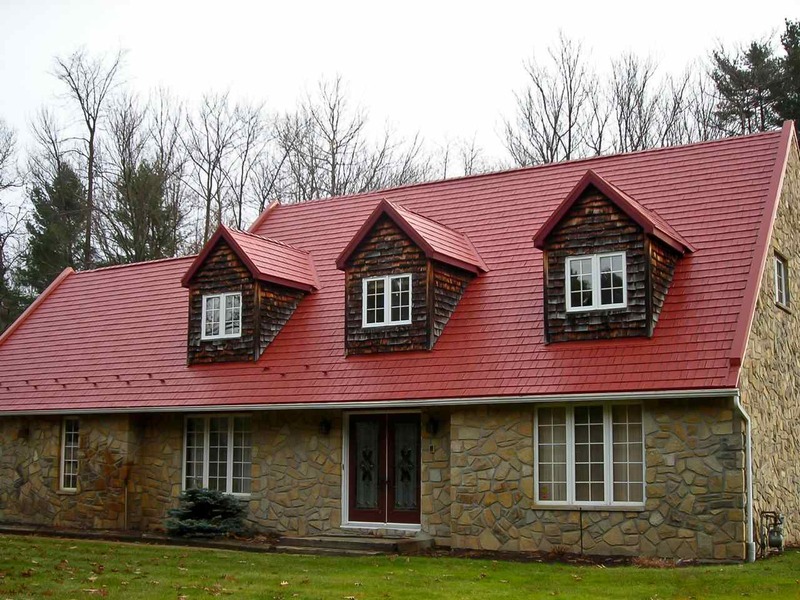 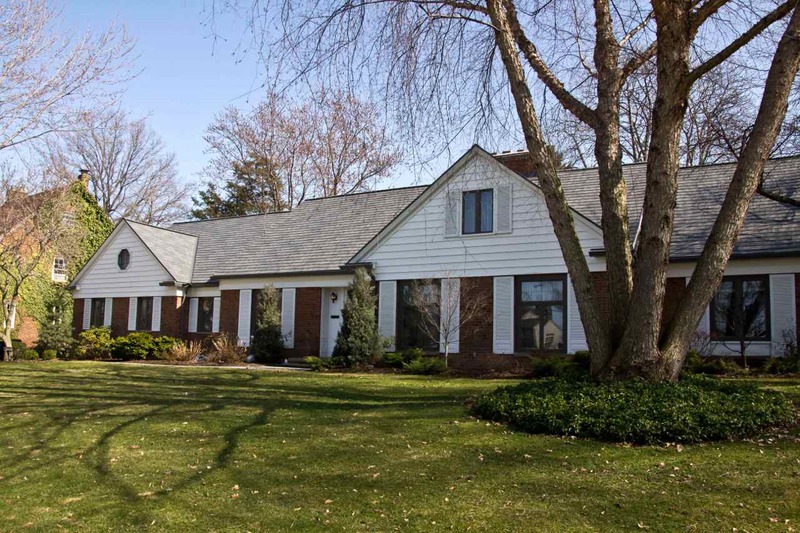 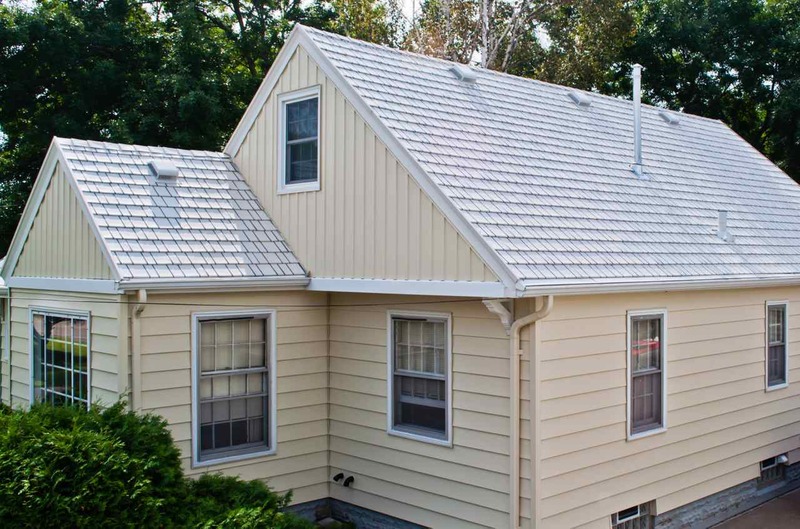 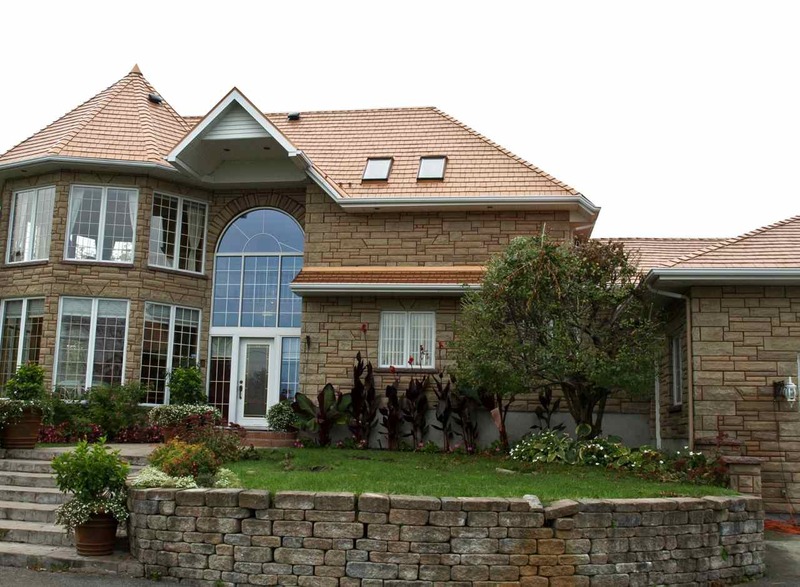 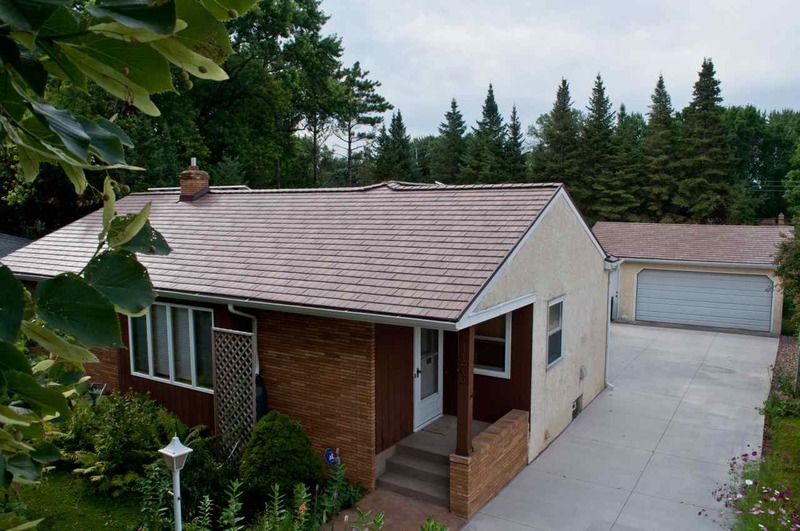 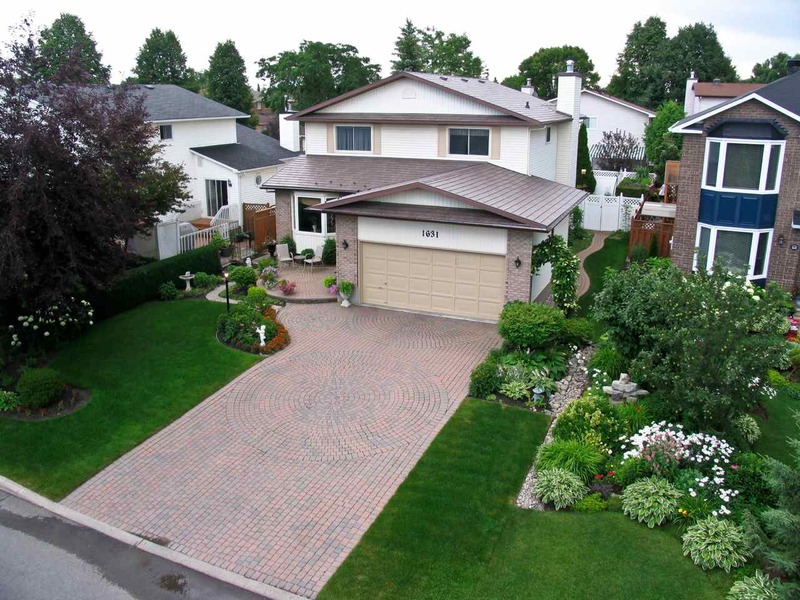 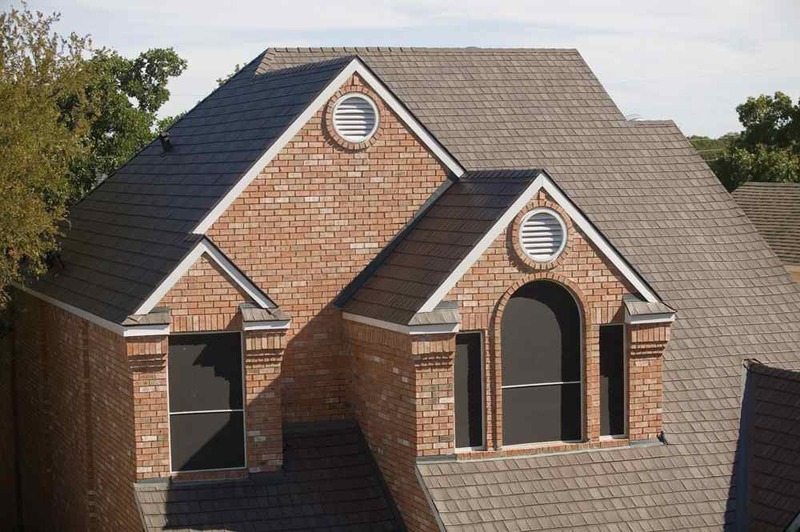 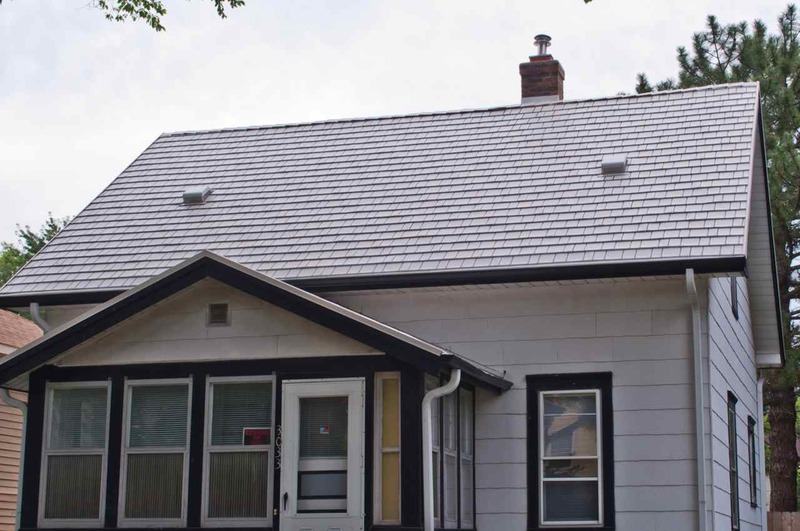 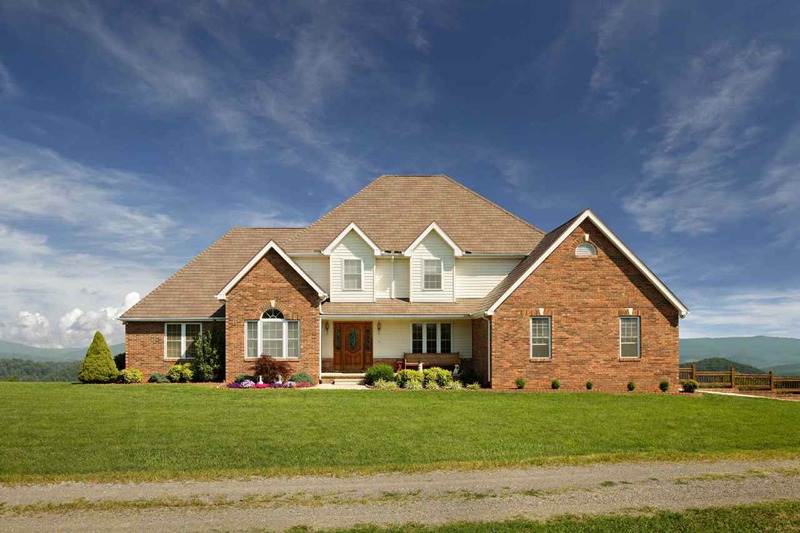 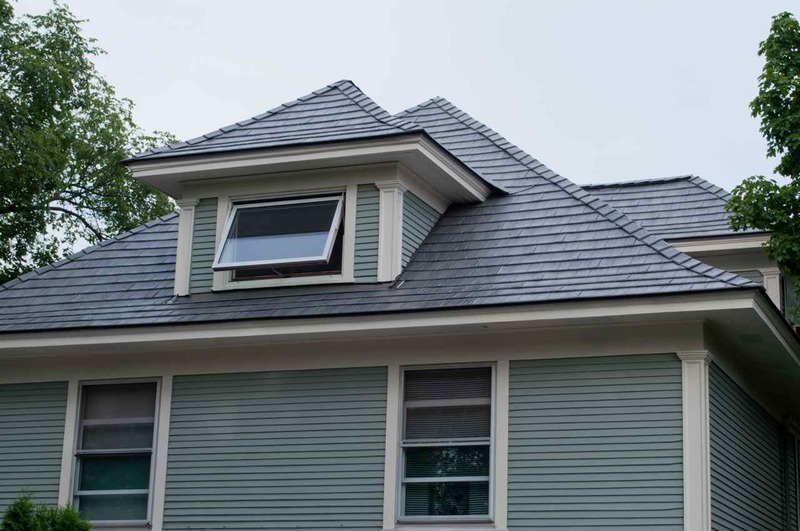 KasselWood steel shingles are crafted for maximum curb appeal. 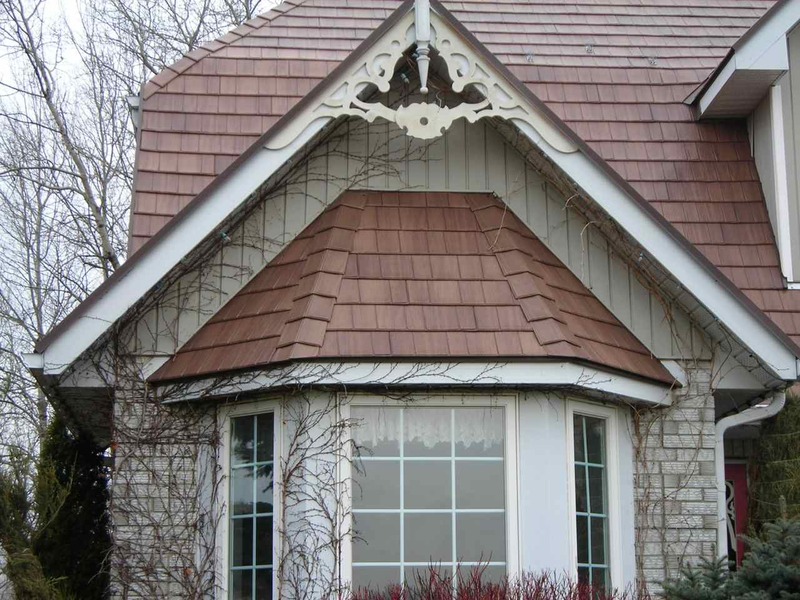 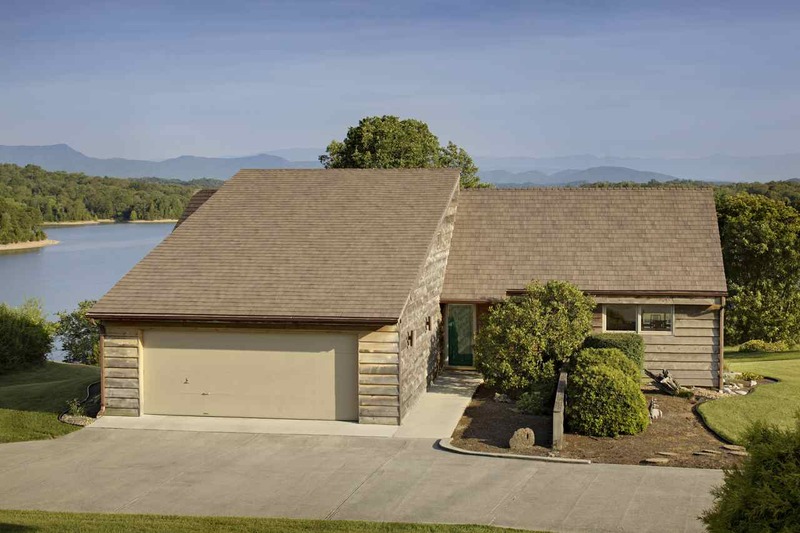 Authentic detail produces a visually stunning roof that enhances the beauty of any home. 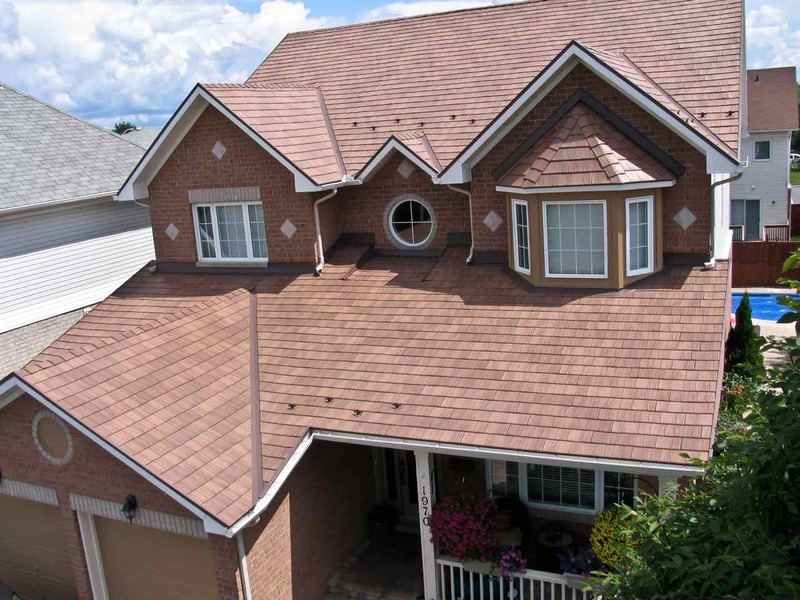 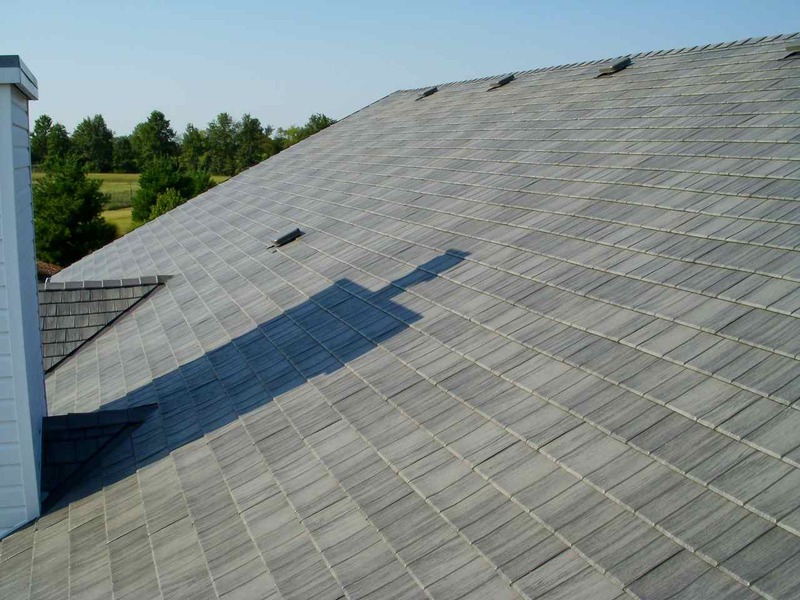 You will love looking at your roof as it stays fresh in appearance over the long term. 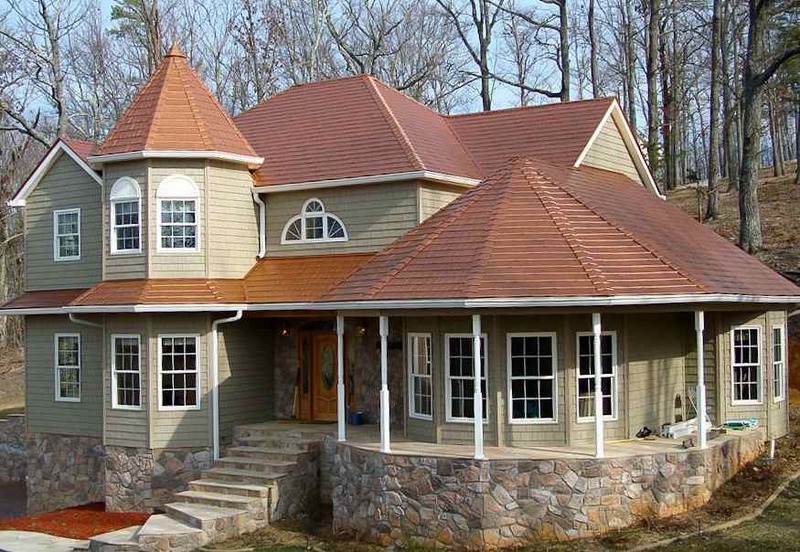 KasselWood is available in a beautiful palette of colors utilizing PPG’s Duranar coating system. 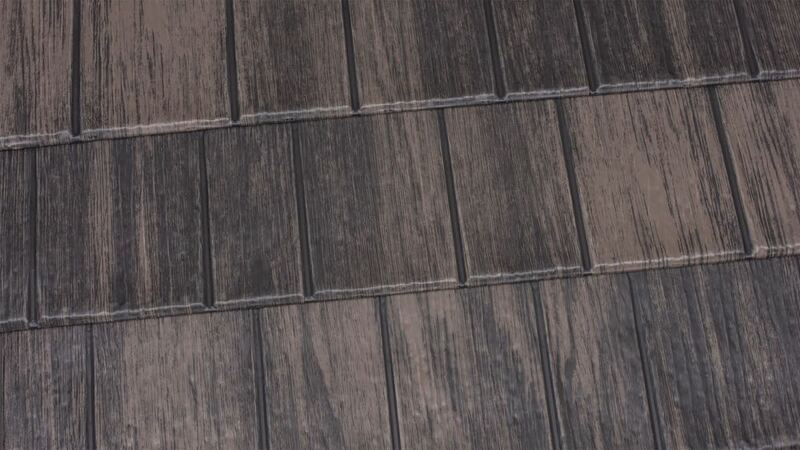 Our unique two-tone Cedar colors lead the industry in terms of special beauty. 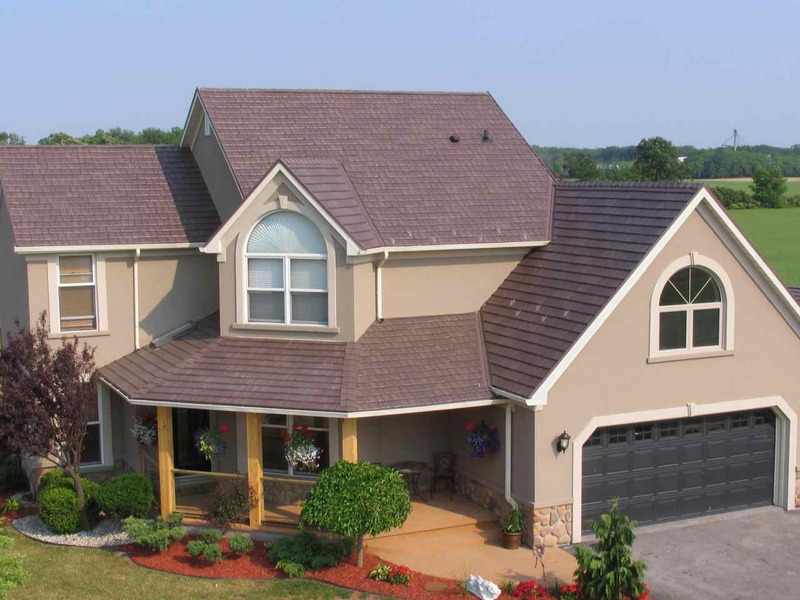 These Kynar 500® or Hylar 5000® PVDF resin-based finishes carry a fade and chalk resistance warranty that ensures your roof will remain vibrant for decades. 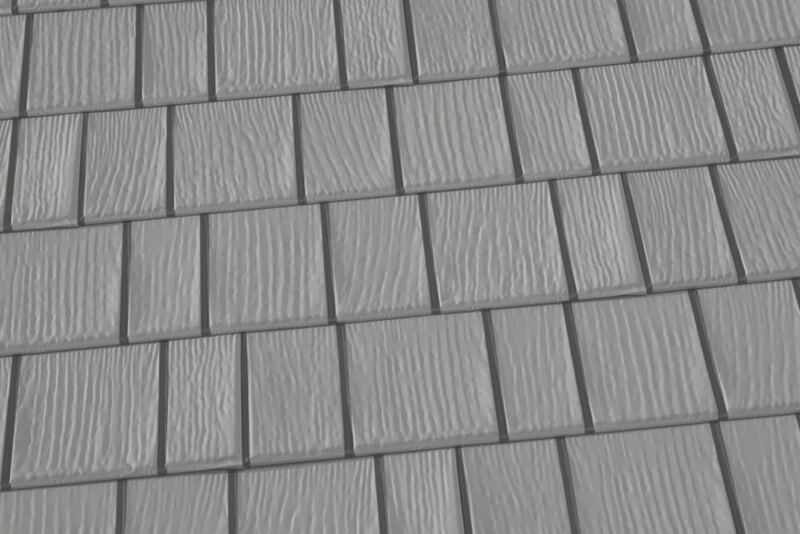 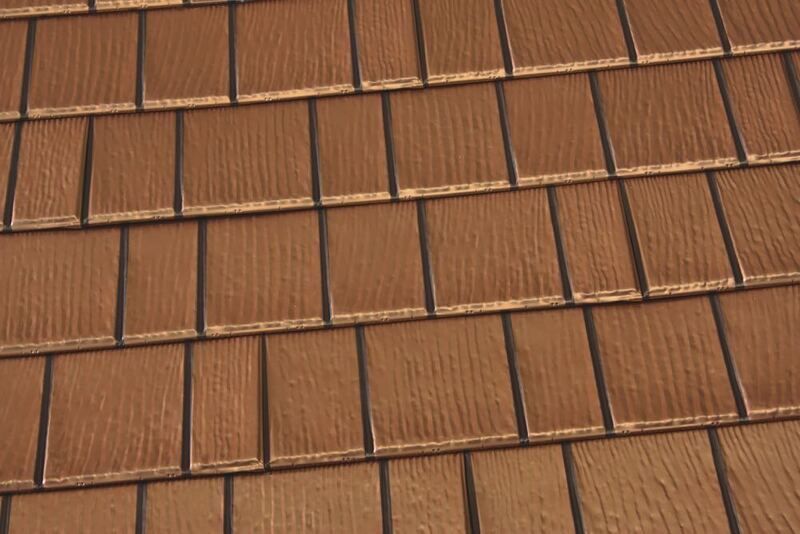 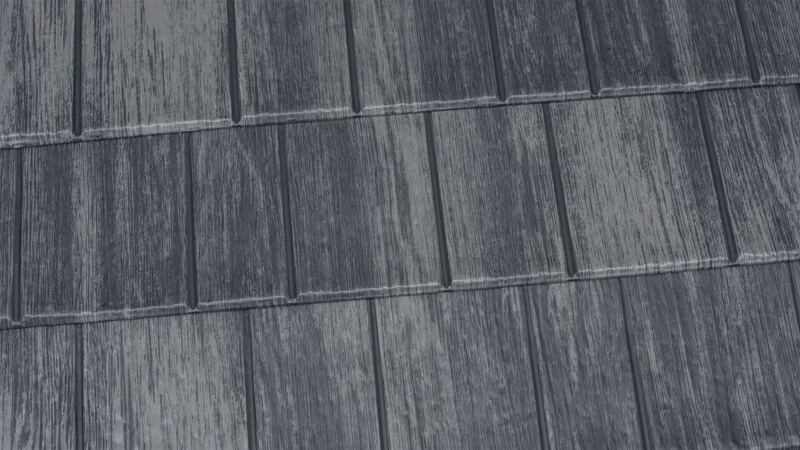 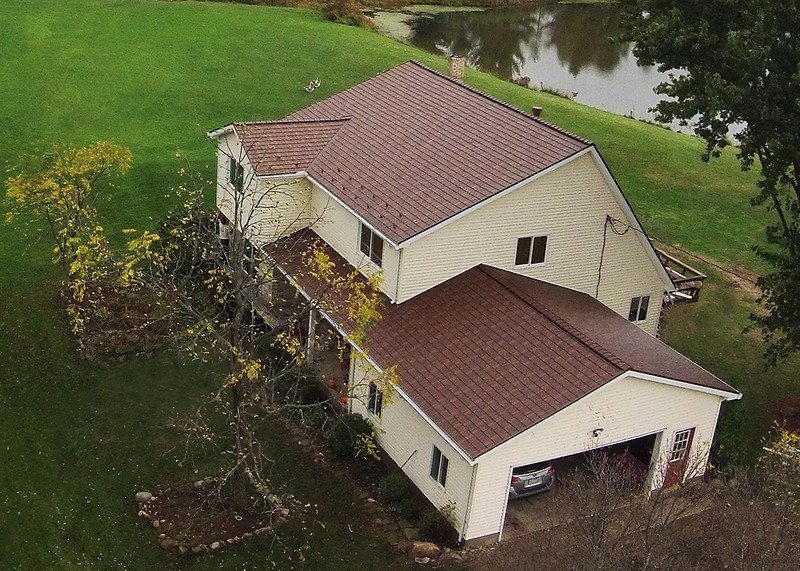 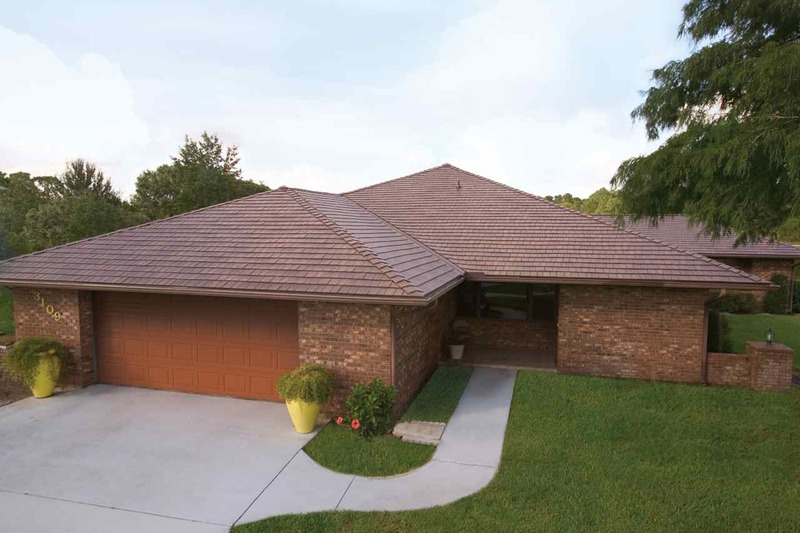 KasselWood steel shingles stand strong against hurricanes, downpours, blizzards, and fires. 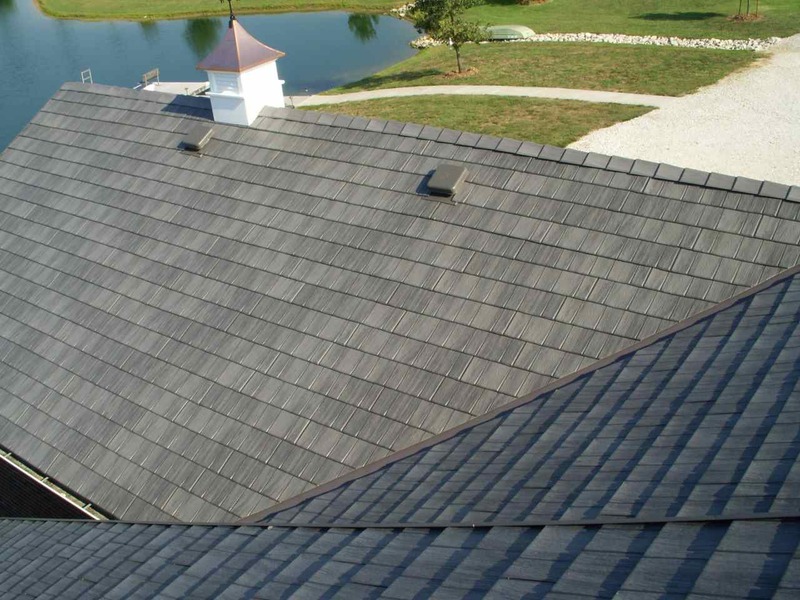 Each KasselWood roof has gone through the highest levels of quality testing to ensure superior strength and longevity. 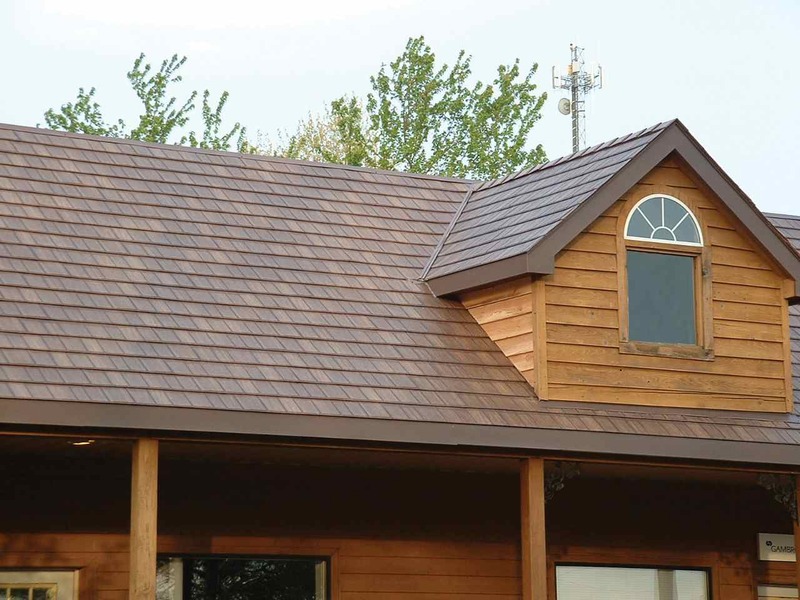 A special extra layer of clear Kynar 500® or Hylar 5000® PVDF resin-based finish stands unique from other metal roofs and provides added vitality and exceptional durability. 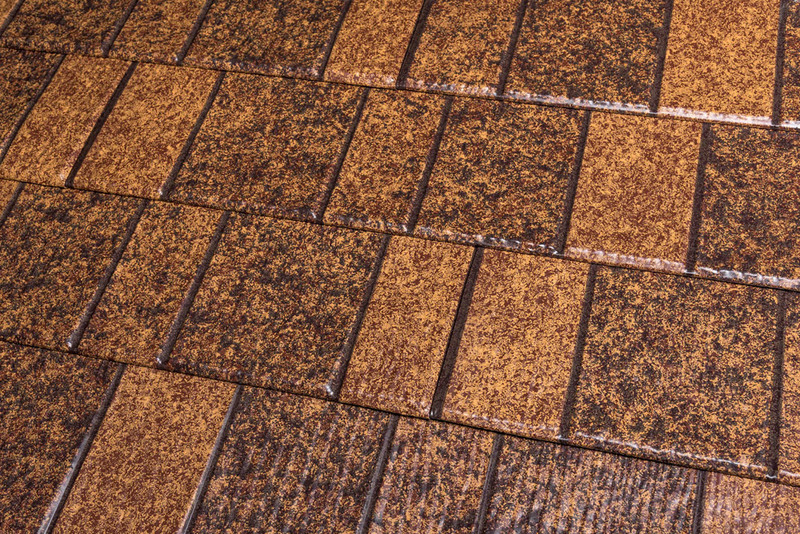 Class A Fire Resistance (UL790) —KasselWood will not burn and will protect your home against wind blown burning embers. 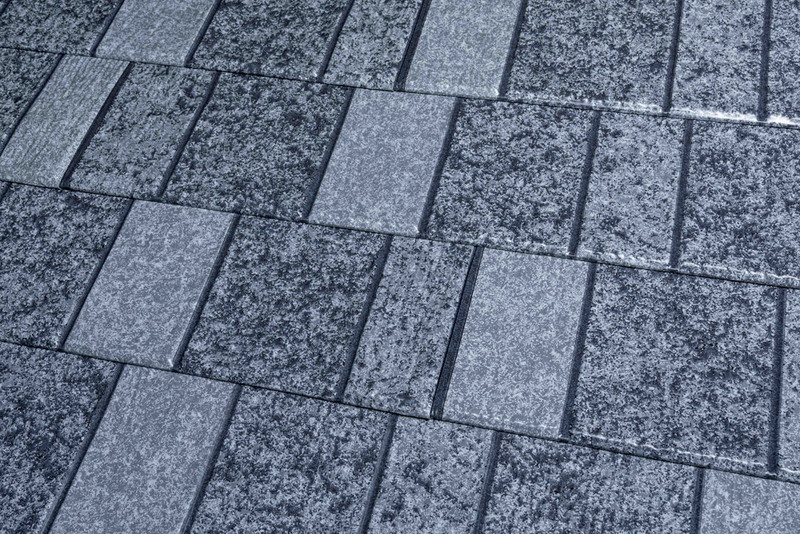 Class 90 Wind Uplift Resistance (UL580) — Tested for winds of up to 120 mph, KasselWood’s concealed fasteners and interlocking design create a shell of protection during the most extreme storms. Class IV Impact Resistance (UL2218) — KasselWood will not crack, perforate, or allow penetration and will withstand the most severe hail. 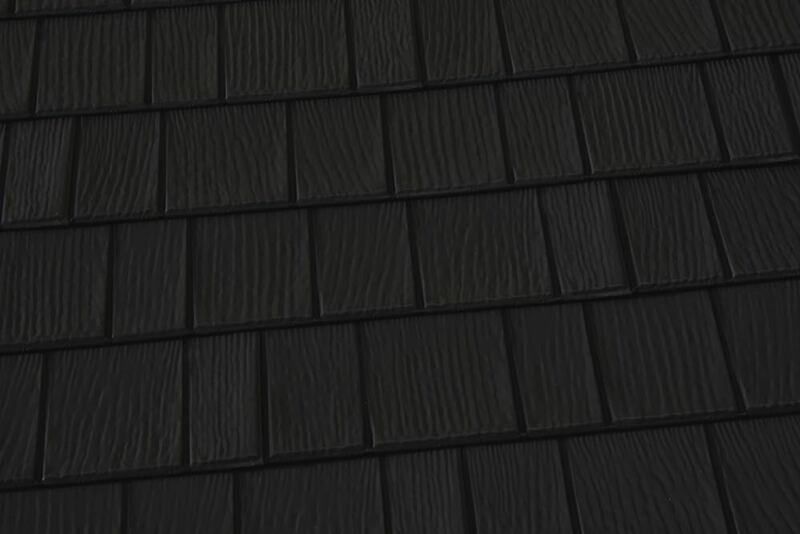 KasselWood is produced from recycled steel that has been engineered to meet our exact standards. 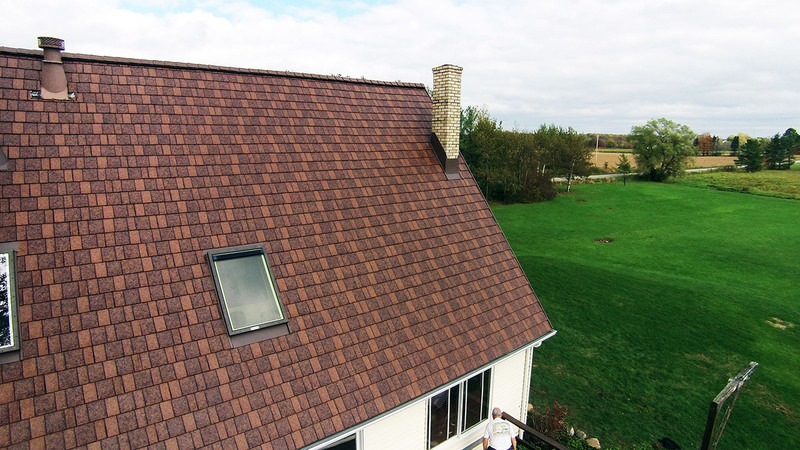 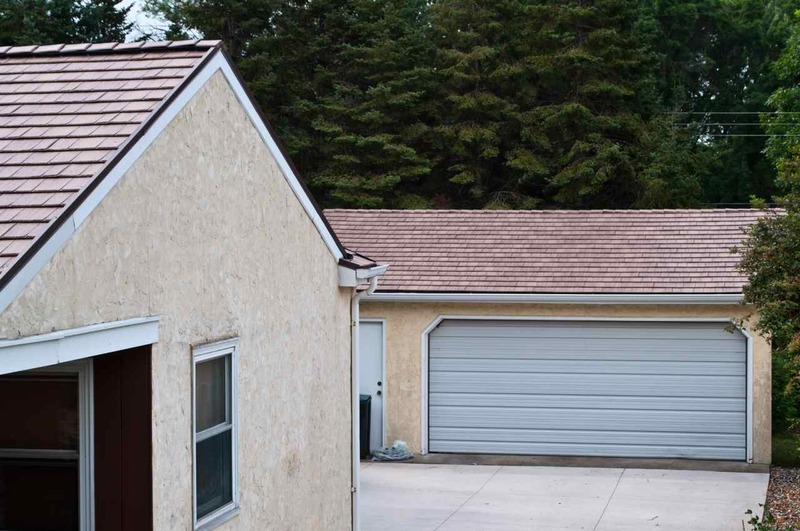 Additionally, at the end of its long useful life, KasselWood is 100% recyclable, contrasting it with other roofing materials which must be disposed of in landfills. 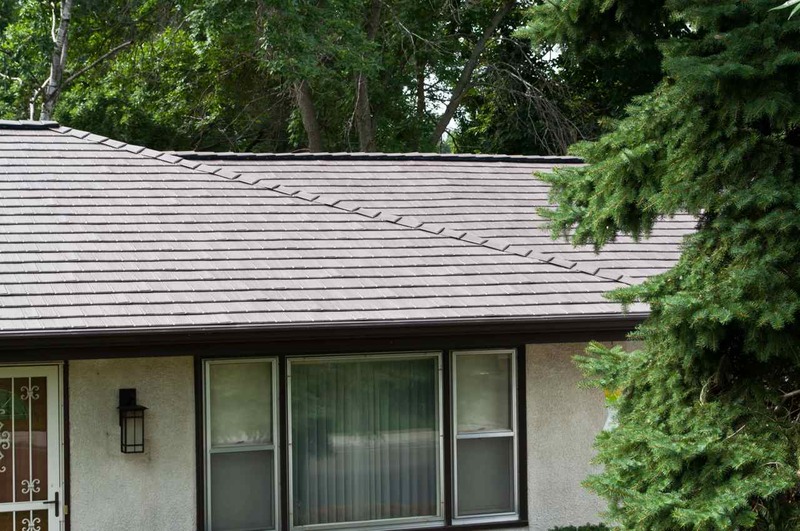 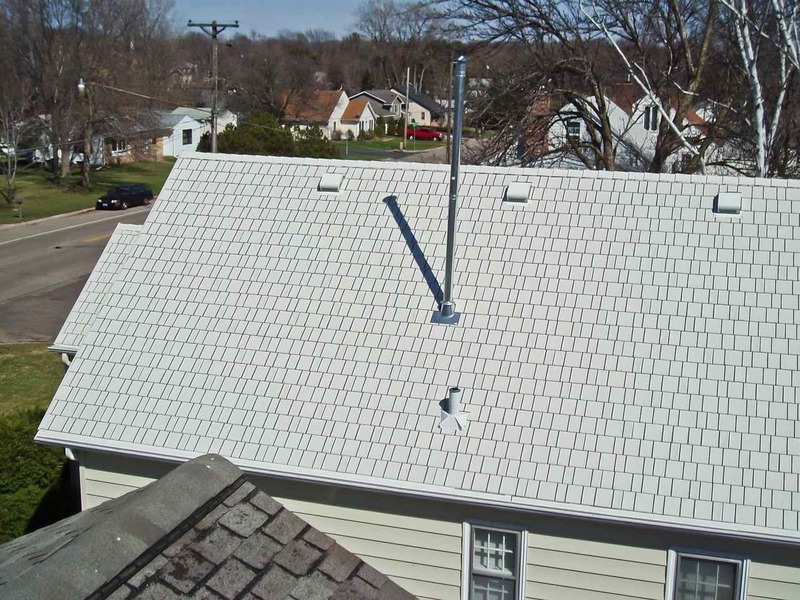 Additionally, the KasselWood system creates a thermal break on your roof ’s surface which keeps heat out of your attic, reducing your cooling costs by up to 20% or even more in some climates.